12/17/2017 | Reduce, Reuse, and Recycle this Christmas Season with YGG! Youth Going Green encourages you and your family to reduce, reuse, and recycle this Christmas season. From wrapping paper to your live Christmas Tree to beverage bottles... There is a next step for it all! Enjoy the new video including Future Can Crushers, Can Crushers, and Advocates! Happy Holidays! 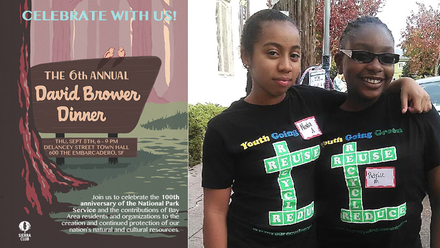 Youth Going Green (YGG) was honored at the Sierra Club San Francisco Bay Chapter's 2016 David Brower Dinner Thursday, September 8, 2016. Ranger Mia Monroe, who has introduced thousands of Bay Area residents to the wonders of nature during her tenure as park ranger at Muir Woods, with the Edward Bennett Lifetime Achievement Award. Enjoy this video compiling their experience and appreciation. 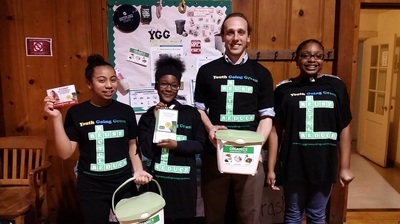 Memorial Tabernacle Church and Youth Going Green members Nuvia and Mya lent their waste-reduction skills to Ready Set Recycle in our newest tips video. ​Learn how to use old newspapers to make a pouch for food scraps to keep your home green pail clean. View the original announcement from StopWaste here. 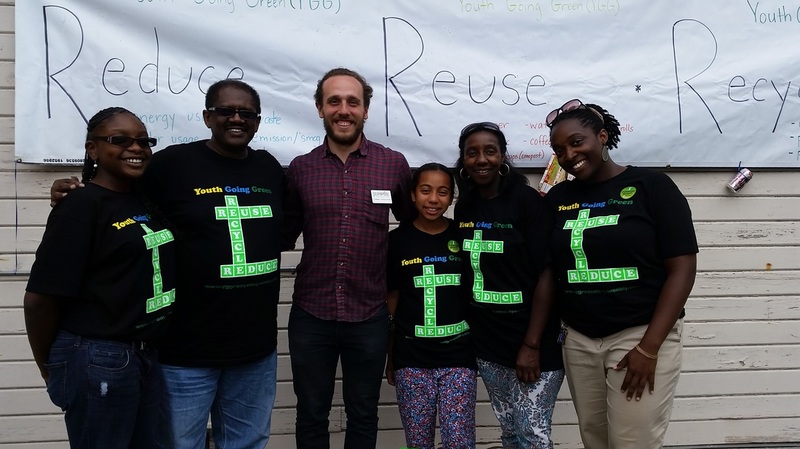 07/31/2016 | Sierra Club San Francisco Bay Chapter Recognizes YGG! We're pleased to announce that Sierra Club San Francisco Bay Chapter will be recognizing Youth Going Green, a youth-focused waste-reduction program based in Oakland. 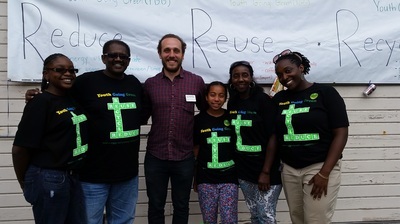 Their work with elementary, middle school, and high school students fosters a sense of ecological awareness and environmental stewardship in the North Oakland community. These traits are increasingly essential as we continue to navigate the relationship between our expanding communities and the natural systems that define our beautiful region. The inspiring work of Youth Going Green serves to instill these values in the next generation of engaged citizens. Their great work would not take place without the support of Sister Marilyn, Sister Tiffany, and all the adults who encourage their ideas, engagement, and impact! Read the MTC Announcement and view the Sierra Club's website for ticket information. 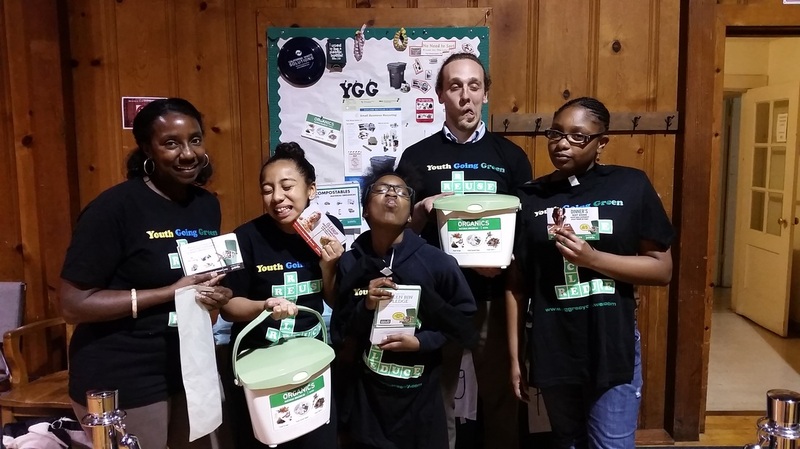 07/08/2016 | YGG is Chosen to be Ready, Set, Recycle Community Ambassadors! MTC's YGG has gone Hollywood! ​So excited for an opportunity to promote composting and a green lifestyle with StopWaste and CBS KPIX as we filmed the Ready Set Recycle Community Ambassador Program tip videos. 11/18/15 | StopWaste Honors YGG with the Community Outreach Grant! We have reviewed your Community Outreach Grant application and are pleased to let you know that we have approved the Memorial Tabernacle Church funding request. Congratulations! We look forward to working with you." For more information about StopWaste and their funding opportunities, please visit http://www.stopwaste.org/.